More than twenty years ago, Pokémon: The First Movie came out. It was an odd name, implying that there would definitely be a second one. But they did make a second one. The First Movie was super good! The heart-wrenching scenes of the Pikachus fighting, Pikachu crying onto Ash, and the philosophic realization Mewtwo comes to by the end; good stuff. This year, we are seeing a remake of The First Movie titled Mewtwo Strikes Back: Evolution. The trailer gives us a glimpse at the new look of the Armoured Mewtwo, and he looks flipping sweet. How does this tie-in to any games, you may ask. Well, about a month ago there were some rumors that surfaced on 4Chan. Ew, I know, but bear with me. The post, which has since been deleted, mentioned “armoured evolutions” in Pokémon Sword & Shield. These rumors were dismissed for lack of proof, but this same user leaked other details that were later confirmed, including the titles. More recently, dataminers dug up mentions of something in Pokémon GO that could be referencing an armoured variant of Mewtwo. 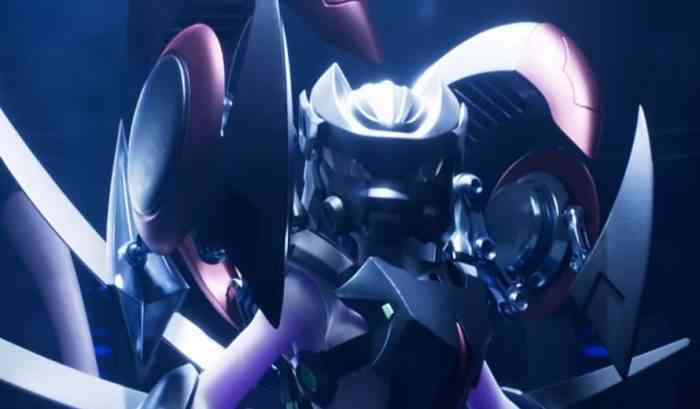 Not only that, but the new look of the Armoured Mewtwo in the trailer really lends its look to the title-themes of Pokémon Sword & Shield. Just something to think about. Pokémon Sword & Shield so far have no release dates other than a vague “2019”. If the movie and the games had similar release dates, it would be easier to connect them. However, the developer for Sword & Shield Game Freak did trademark the term “Armoured Mewtwo” in March. The inclusion of the Armoured Mewtwo in Pokémon GO is also quite likely. Do you want to see an Armoured Mewtwo in Pokémon Sword & Shield and/or Pokémon GO? Let us know in the comments below.